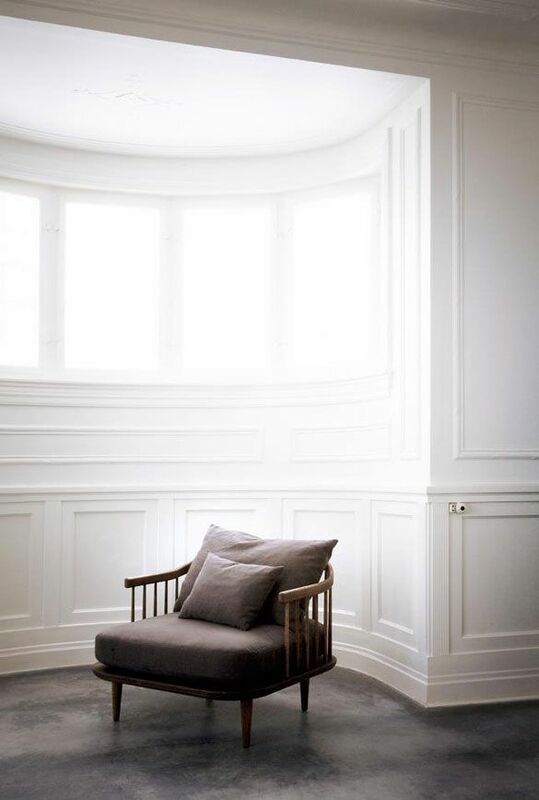 No specific topic today, just beautiful rooms to inspire this rather gloomy morning (at least here in MD). Granted, it’s also not Monday, but I also wasn’t particularly productive yesterday. 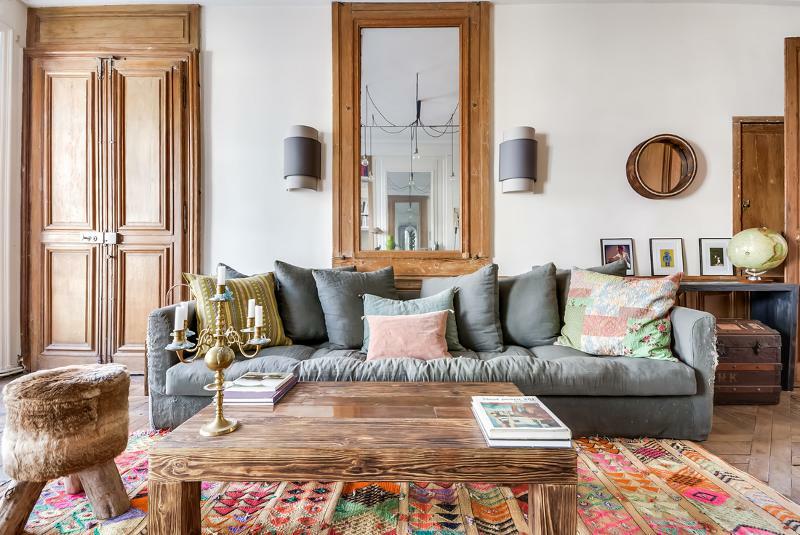 So, without further ado, I bring you some interior design eye candy and inspiration. What a great kitchen to wake up to every morning. The natural light and open concept is so nice. 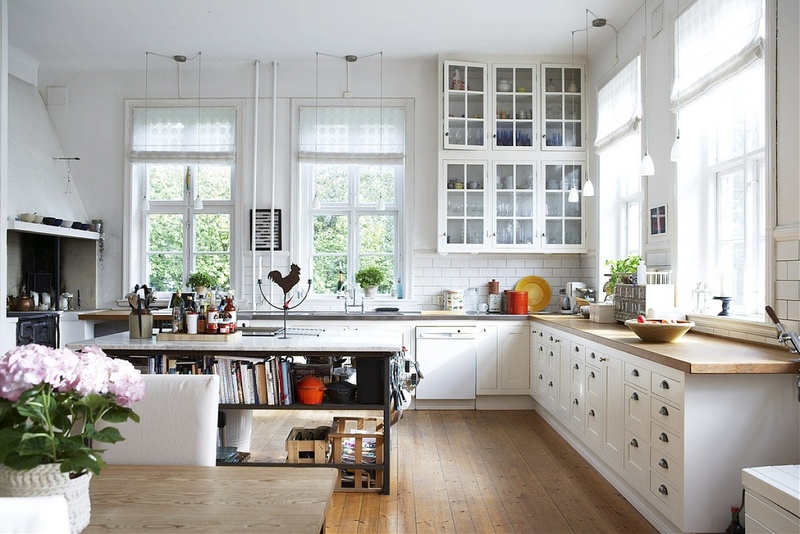 The glass front cabinets mimic the windows. 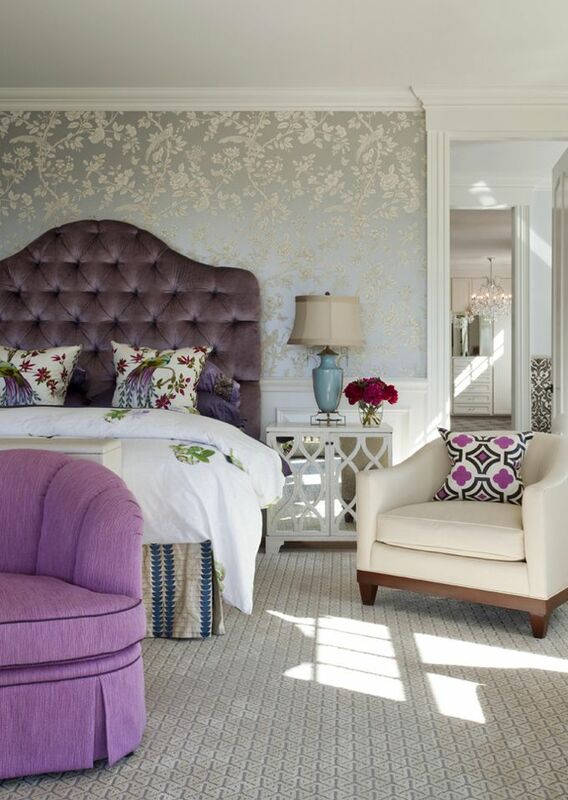 This bedroom in silver and purple is all about the elegance. Of course, what is more elegant than a purple velvet tufted headboard? This is more of an art shot but the white and gray, wainscoting, and architectural details are really stunning. A humble but cheerful breakfast nook looks like such an ideal way to start the morning. What I wouldn’t do for a little greenery out the window these days! 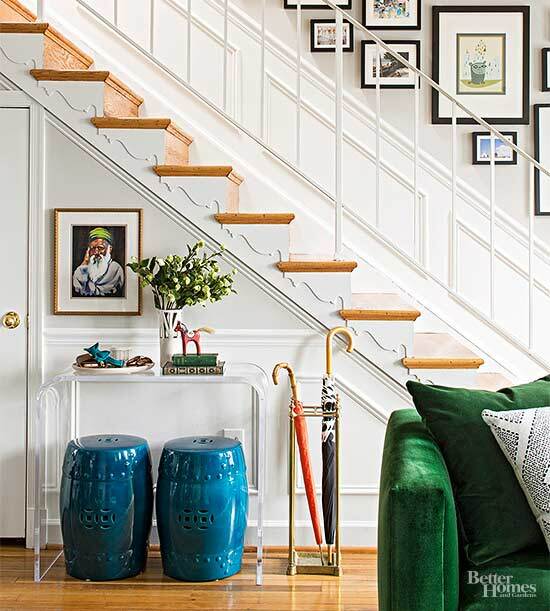 The blue Chinese stools and green velvet couch add elegance through jewel tones to the staircase. I like the gallery wall with tiny pictures too. Bohemian in pastels isn’t something you see too often. A bit busy for me but nice to look at! That living room is just gorg! My living room looks very similar, a mix of both my style and the beau’s! We used this new Furnishr.com interior design service and they were amazing they helped turn our new place into a home. I do wish we had those wood doors though lol!